Throughout the 90s, Microsoft was the king of computing, with its cash cows of Windows operating systems and industry-standard Microsoft Office software providing it with a seemingly endless stream of revenue. Personal computer manufacturers Hewlett-Packard and Dell were riding high on Microsoft’s success, processor manufacturers Intel and AMD were selling CPUs like crazy, and Apple held nothing but a niche market after the departure of its founder, Steve Jobs. That golden decade was Wintel’s heyday, and investors were richly rewarded. Between 1990 and 2000, Microsoft stock rose 711,000% under the guidance of founder Bill Gates. However, those happy days could not last forever, and the dot-com crash of 2000 put a ceiling over Microsoft’s explosive growth. Microsoft, which had already established itself as the world’s strongest tech company, survived the tech crash while other companies went bankrupt, but investor confidence in the tech sector was irreparably shaken. Bill Gates stepped down as CEO in January 2000, handing over the reins to his longtime associate Steve Ballmer. Between 2000 and 2010, Microsoft stock went nowhere, dropping 3% by the end of the decade. Microsoft investors, frustrated by the lack of progress under Ballmer’s reign, lamented the company’s lost decade. During those ten years, Apple and Google, which Ballmer never considered serious contenders, introduced new disruptive technologies that cast doubt on the future growth potential of Microsoft’s core competencies. So here we are, two years later, and Microsoft has slid another 13%. Forbes magazine named Steve Ballmer the worst CEO of 2012, investors are up in arms regarding the lack of progress in mobile devices and cloud computing, and a plethora of Wintel companies – Dell, HP and Intel – are all withering as demand for Microsoft products wanes. Can this decline be resolved by hiring a new CEO, or does the wound run far deeper? How did Microsoft, once considered the market-leading innovator, devolve into a market-following imitator? Let’s take a look at three key factors. Here are several quotes that sum up Ballmer’s habit of misunderstanding and underestimating his competitors. These statements are only the tip of the iceberg that is Ballmer’s ego, and symptomatic of the erroneous ways he sizes up competitors, recognizes threats and responds to rapidly shifting market trends. After Bill Gates stepped down, every step Microsoft took indicated that it had devolved from a market innovator into a market follower. As we can see in this chart featuring Microsoft’s major product releases over the past decade, Ballmer has been reactive, rather than proactive, in his major product releases. That’s not to say that imitators never succeed. Samsung imitated Apple’s designs and took advantage of Android’s flexibility, emerging as the top smartphone manufacturer in the world.Amazon (NASDAQ: AMZN) imitated the iPad and applied a forked Android operating system to create the Kindle Fire, the second best-selling tablet in the United States. Microsoft’s releases, however, often arrive more than two years after an industry-changing product emerges, usually trailing a mass of swarming imitators. After such long waits, consumers expect Microsoft’s product to be superior, but the quality of its products have been inconsistent at best. 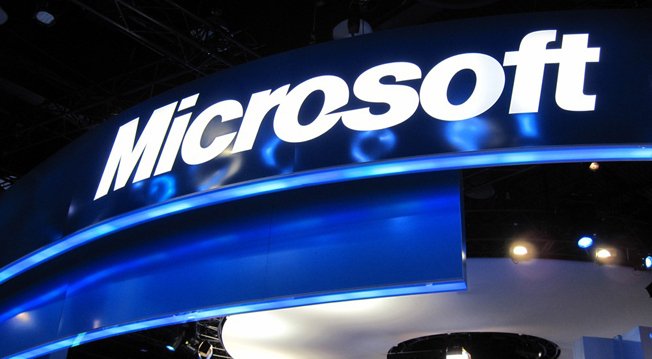 Microsoft is now relying on an all-in bet that Windows 8 will succeed and revive the ailing PC market in 2013. Unfortunately, throughout 2012, PC sales plunged an average of 21%. Laptop sales dropped 24% while desktop sales slid 9%. The release of Windows 8 in late October 2012 did nothing to reverse the trend, as Microsoft had hoped, due to mixed reviews of its radically different functions and design aesthetics. A steeper learning curve, designed to adapt to Windows 8’s touch screen-optimized tiles, kept traditional laptop and desktop users from upgrading their operating systems. Meanwhile, the rising price of PC systems, from an average of $433 to $477 this year, discouraged shoppers from purchasing new Wintel machines over the holiday season. Microsoft is also counting on its new hybrid tablet device, Surface, to make an impression on consumers. Analysts believe Microsoft created the Surface to not only challenge Apple and Google, but also to fully showcase the abilities of Windows 8 and spur other members of its Wintel ecosystem – HP, Dell, Lenovo and others – to produce more innovative hybrid products. Initial reports claim that the Surface was at the bottom of the barrel during the holiday shopping season, trailing Apple’s iPad, Amazon’s Kindle series and Samsung’s Galaxy Tab series by a wide margin. Lastly, Microsoft must garner more support for its Windows Phone devices, which are mainly sold by Nokia, HTC and Samsung, which has been lagging both Apple and Google in terms of developer and consumer support. In the third quarter of fiscal 2012, Windows Phones, including the newly released Windows 8 Phones, claimed a miniscule 3.5% of the smartphone market, compared to Apple’s 14.9% and Google Android’s dominant 75% market share. Today, the company has become more a liability and less of an asset. Considering all the aforementioned problems that have plagued Microsoft over the past decade, can Microsoft really turn it all around in 2013 with solid initiatives in mobile technology? Or is it doomed to remain a market imitator, a mere shadow of its former self?